It's usually a bad idea to say this is the "Year of ______". For example, it's seems like it's been the "Year of VR" every year since 2012 and it still hasn't taken off. So it is with great caution that I label 2018 The Year of the Chatbot. But, to be fair, there are strong indications that this will be the case. One of the key takeaways from our recently released 2018 Australian Contact Centre Benchmark Report is that use of webchat technology is on the rise. With 73% of respondents saying they are striving to improve Customer Experience (CX), organisations are continuing to use technology to achieve this goal. Almost a third of contact centres (31%) are investing in webchat this year and we predict that by 2020, over three quarters (81%) of Australian contact centres will follow suit. Australian contact centres are tracking a trend seen in the US, where digital channels are gradually superseding the traditional phone channel. There are several factors behind this shift, including improvements in technology and changes in demographics. Webchat and chatbots are becoming more sophisticated and Millennials, who are now the largest demographic in the US, have a tendency to prefer texting to calling. One recent study found that if Millennials had to choose one of these functions at the exclusion of the other, 75% would opt for texting. Although Australia is behind the US in this trend, the change is happening. A study by Verint recently revealed that Millennials in Australia and New Zealand are less likely than Generation Xers, Baby Boomers and the Silent Generation to pick up the phone to resolve a customer service issue. At the same time, Millennials expressed a stronger desire for live chat than any of these demographic groups. Verint found a strong correlation between consumers' demographic and interest in this technology. Millennials desire for live chat (9.08%) was followed by Generation X (7.55%), Baby Boomers (4.73%) and then the Silent Generation (2.89%). With technology improving and demographics changing, the inevitable boom of chatbots - Artificial Intelligence (AI) assisted bots that are capable of human-like conversation - has already begun. A clear sign of this is the entry of members of FAANG (Facebook, Apple, Amazon, Netflix, Google) into the market. In April 2016's F8 Conference, Facebook unveiled the Messenger Platform, essentially a Messenger for enterprise including chatbots and automated content such as shipping notifications. A year later, Facebook upgraded to Messenger Platform 2.0 and announced that the service had 1.2 billion users and over 100,000 monthly bots. The current version (2.3) was released last month and features new metrics and tools aimed at improving enterprise use. Similarly, Apple has Business Chat; Amazon, Lex; Netflix its own Facebook-based bot; and Google, Allo. Tech behemoth Microsoft is also not missing out on the chatbot party. CEO Satya Nadella recently said that he sees personal digital assistants as creating a platform in which human language is the new User Interface (UI) layer. Microsoft calls this Conversation as a Platform (CaaP). "Bots are like new applications, and digital assistants are meta apps or like the new browsers," he said. "And intelligence is infused into all of your interactions. That’s the rich platform that we have." Microsoft has a considerable headstart when it comes to bot development. It unveiled the chatbot Xiaoice in China in 2014 and in 2016 it launched the Bot Framework, a set of tools that allows developers to create their own chatbots. As of December 2017, over 200,000 developers have signed up for the service and there are around 33,000 active bots across areas such as financial services, retail, and healthcare, according to Techcrunch. Microsoft's path towards conversation as a platform hasn't always been smooth. In 2016, there was the case of Tay, the much publicised Microsoft chatbot that made the mistake of learning from humans on Twitter. Within 24 hours, Tay was spewing genocidal, anti-Semitic hate speech. The machines will only be as morally good as we can make them. You don't have to be a Facebook or Microsoft to build or use bots. Last month, Software-as-a-Service (SaaS) company LogMeIn announced its new AI-powered Bold360 product portfolio which combines chatbots and human agents to improve CX. The new enhanced Bold360 includes AI that can handle routine customer interactions, seamless bot to human transition, and a "360 view" of consolidated customer data across every customer touch point. Closer to home, Australian enterprise SaaS company Flamingo AI (ASX:FGO) has developed "MAGGIE" and "ROSIE" two AI-powered Virtual Assistants that combine chat, smart workflow, natural language processing, and machine learning to guide customers through their customer journeys. Flamingo AI has been attracting significant interest in Australia and abroad. Brisbane-based banking and insurance company Credit Union Australia (CUA) recently joined AMP and Chubb in trialing Flamingo's solution in Australia. Meanwhile in the US, Flamingo AI is already working with insurance giant Nationwide and has just won a trial with Liberty Mutual. Both insurers are multi-billion dollar firms on the Fortune 500 list. So will 2018 be the Year of the Chatbot? With technology improving, demographic shifts underway, major players such as FAANG and smaller up-and-comers like LogMeIn and Flamingo AI growing, the rise of the chatbot seems likely. According to a report by Grand View Research last year, the global chatbot market is expected reach US$1.25 billion by 2025. Flamingo AI co-founder and chief executive Dr Catriona Wallace is also optimistic, telling a recent conference that bots and AI are the fastest growing tech sectors in the world. "[The sectors] are expected to grow by five times in the next two years," Dr Wallace told Investment Magazine's 2018 Investment Operations Conference held in Sydney on February 20. “We’re going to see this moving extremely quickly." Dr Wallace went on to liken the impact of bots and AI to a fourth industrial revolution. "In 2017, companies were looking at the technology and in 2018, they’re investing,” Wallace added. 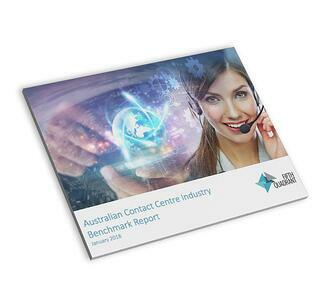 You can learn more about the trends and challenges impacting the Australian contact centre industry here. Fifth Quadrant will be holding webinars based on the report on Tuesday, 27 March, Tuesday 24 April, and Tuesday 22 May. To find out more, contact Fifth Quadrant today. 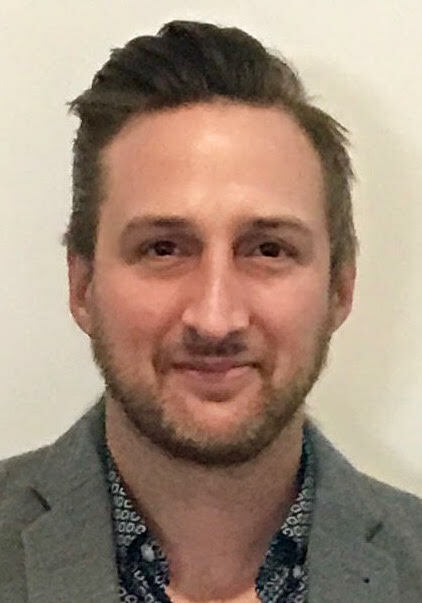 Stefan is the Content Manager at a Sydney-based investor relations firm, and a freelance writer whose work has appeared in Techly, Paste Magazine, Lost at E Minor and Tech Invest.